Oceans 8 opens in Australia on June 7, 2018 and is distributed by Roadshow Films. 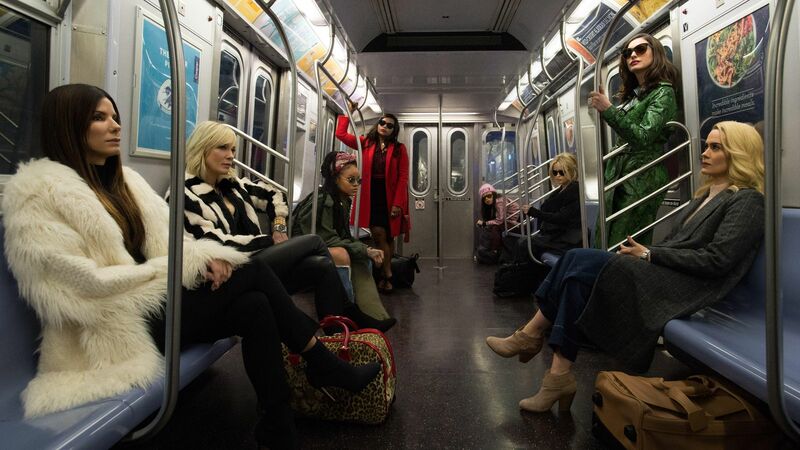 Opening June 8, 2018 in the United States and distributed by Warner Bros.
Oceans 8 is here to remind us that the female reboot is not just alive and well, but it is striving in it's perfect health. With the male dominated Oceans trilogy having lost it's legs and tiring out over a decade ago, Gary Ross along with co-writer Olivia Milch have revived the franchise with the same thrills we found with the original, but with a little more designer chic. 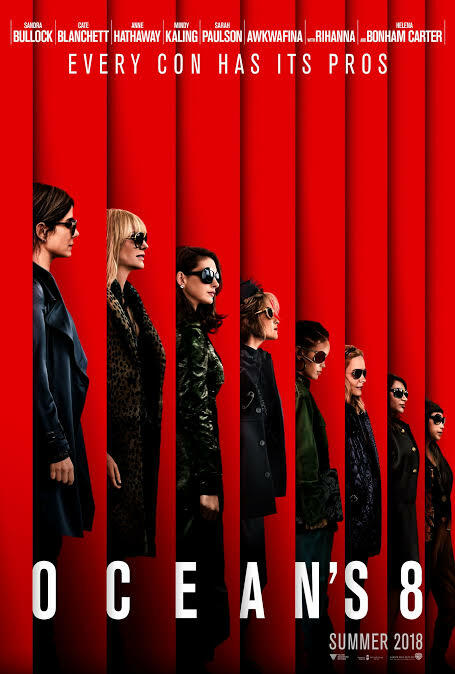 Oceans 8 is joyous to watch as eight of entertainment's powerful female voices portray eight strong women who are even more interesting to watch than their male counterparts and far better dressed. The ladies team together to take on the impossible task of stealing one of the most expensive pieces of jewellery in the world during the glitz and glamour of the world famous Met Gala. The outcome of the heist may be extremely predictable and therefore not as suspenseful as it should be, but the organisation of the perfect crime is incredibly entertaining in it's fun and intelligent execution. While Sandra Bullock's Debbie Ocean, Cate Blanchett's Lou, Anne Hathaway's Daphne Kluger and Helena Bonham Carter's Rose Weil are the characters that are the most fleshed out, each lady has their own set of unique and distinct character traits and each is celebrated. The film speaks volumes about how there isn't one right way to be a strong woman and that being strong and independent doesn't mean belittling men nor does it mean said woman has to be physically powerful. The cast is diverse and embraces the beauty in minority groups, with specific focus on those in New York City. However much of a pun it may be, for some Oceans 8 may tend to flow a little too well with it not being overly intense or emotional. However, others may embrace this. The film is incredibly entertaining, easy to watch and enjoyable, especially with Blanchett's witty and well-timed dialogue and Hathaway's hilarious return to her comedic roots as a spoilt, pretentious socialite. It is a feast for the eyes with the outstanding costume design by Sarah Edwards of the ladies enviable wardrobes and Met Gala attire and exquisite production design by Alex DiGerlando. The recreation of the world of the prestigious Met Gala is aesthetically pleasing in every way with it's glamorous ambience, high-end fashion and overflow of A-list celebrities. 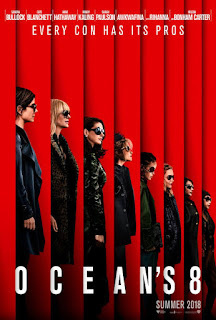 Oceans 8 is a whole load of fun and the type of reboot we crave where the filmmakers use the original as inspiration and not a chance to rehash a worn out story.